Holiday roooms and apartments for rent - guest house "Provincija"
Apartments in Palanga in Guest House "PROVINCIJA"
Room "Marmalade" is situated on the 1st floor of the Host House, and shares a kitchenette and a dining area with other 2 rooms. For your accommodation in the room: fridge, teakettle and cookware. The kitchenette (microwave oven, electric cooker) – is located on a floor. Suite "Caramel" is situated on the 1st floor of the Host House, and shares a kitchenette and a dining area with other rooms. For your accommodation in the room: fridge, teakettle and cookware. The kitchenette (microwave oven, electric cooker) is located on a floor. Two- stored suite "Biscuit" is situated on the 1st floor and the attic of the Host House, and shares a kitchenette and a dining area with other 2 rooms. Penthouse of the Host House allows to accommodate comfortably a company up to 10 persons. Herewith all rooms of Mansard share common entrance by the yard, kitchenette and dining area. For your accommodation on a floor: fridge, teakettle, cookware and kitchenette (microwave oven, electric cooker). Apartment "Marsh-mallow" is situated on the ground floor of Guest house, and has a private entrance by the yard and a small terrace. For your accommodation in the room: fridge, teakettle, cookware and kitchenette (microwave oven, electric cooker). Apartment "Pie" is situated on the 1st floor of Guest house and has a separate entrance by the yard. Apartment "Chocolate" is situated on the ground floor and on the 1st floor of Guest house, and has a private entrance by the yard and a small terrace. 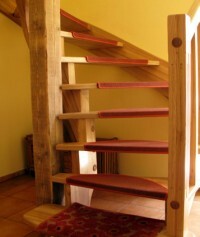 Apartment "Pastille" is situated on the 1st floor of Guest house and has a separate entrance by the yard. If you travel in company with friends, we recommend you to accommodate in apartments "Pastille" + "Pie". The private entrance by the yard for these apartments will provide you with tranquility, so will the large space provide with comfort. For your accommodation in the apartments: fridge, teakettle, cookware and kitchenette (microwave oven, electric cooker). 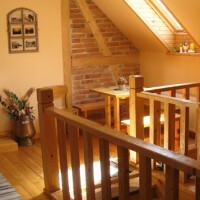 Apartment "Honey" is situated on the 1st floor of Bathhouse and has a private entrance by the yard. 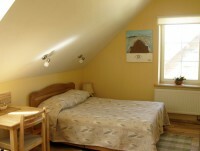 For your accommodation in the apartament: fridge, teakettle, cookware and kitchenette (microwave oven, electric cooker). For your accommodation in the house: fridge, teakettle, cookware and kitchenette (microwave oven, electric cooker). 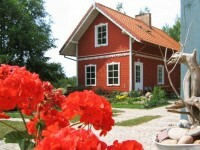 Comfortable rooms and apartments for rent in Palanga for vacation at the Baltic sea in Lithuania. Comfortable lodgings, kitchens, wide picturesque private territory.